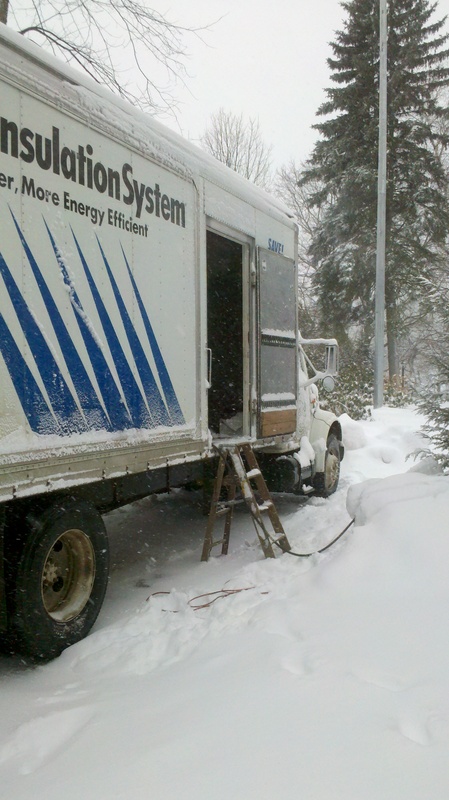 The Best Insulation To Use in Maine Solved! 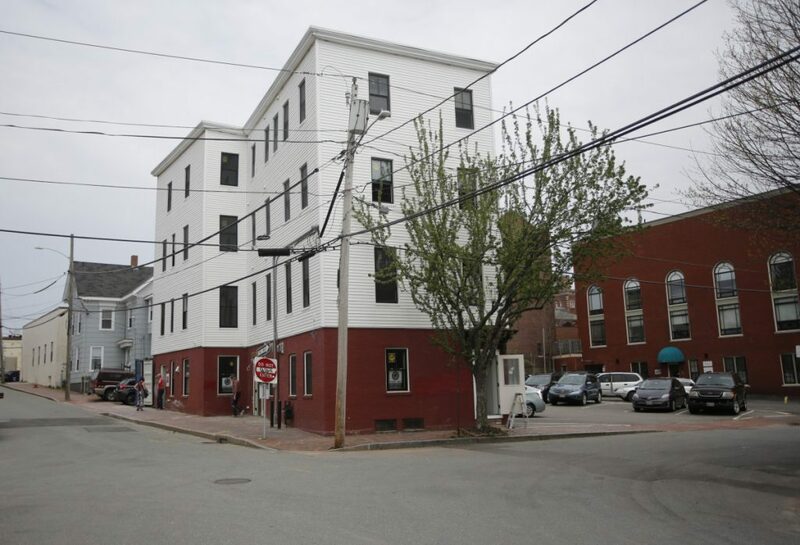 Installing Insulation Materials in Portland, Maine. Maine’s best insulation contractor! At Quantum Performance Building Products we believe in customer service. We have been in business for 11 years. 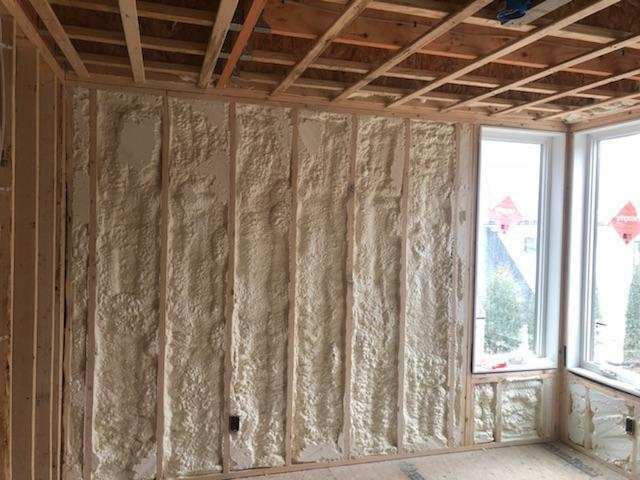 We have used all of the different types of insulation available. Below is some information on what we recommend. We believe that we have found the “sweet spot” taking into consideration cost, performance, and of course payback. 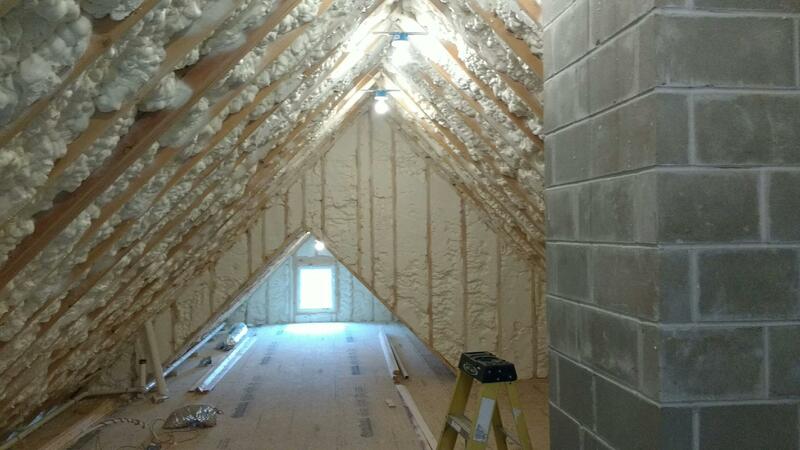 We provide our customers with the correct amount of insulation without going over board. Most people don’t know that once a wall reaches an R-value of 20 with Open Cell Spray Foam Isulation, 95 percent of the heat loss is stopped! 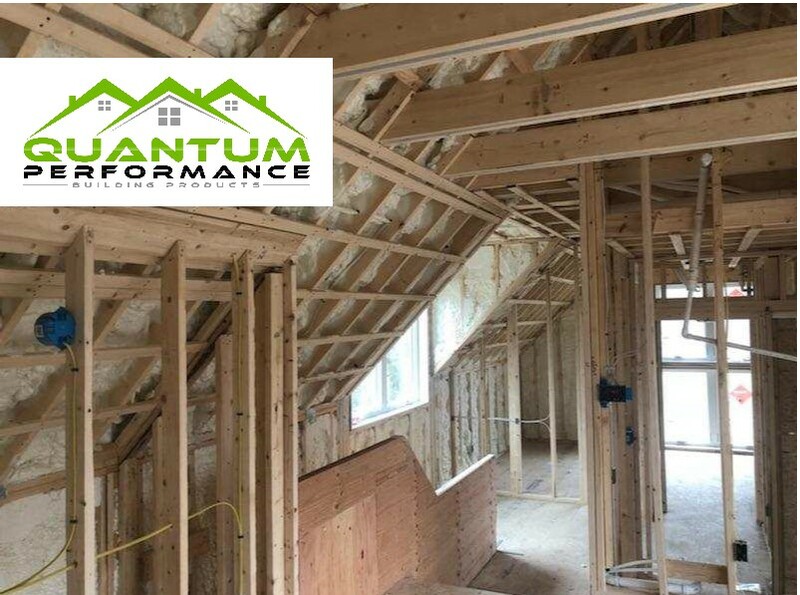 At Quantum we pride ourselves on coming up with the correct solution for your house. There is so much information out there but as insulation experts we have worked it out. Everything we say, we can back up with documentation. Whereas, most of our competitors can’t. Please also keep in mind that we offer everything. Open Cell, Closed Cell, Fiberglass, Bib, Cellulose. This is how we know which system work and which ones dont. R-value does not take into consideration heat loss due to air movement. Both open cell and closed cell insulation materials are “air barriers”. Comparing an air porous insulation to and air barrier material by looking at the R-value just doesn’t work. Below are a few things to keep in mind. R-49 of spray foam stops about 97 percent of heat loss. Therefore, you have paid a lot of extra money for only a small amount of increased performance (look at attached chart). Where is the payback in that? 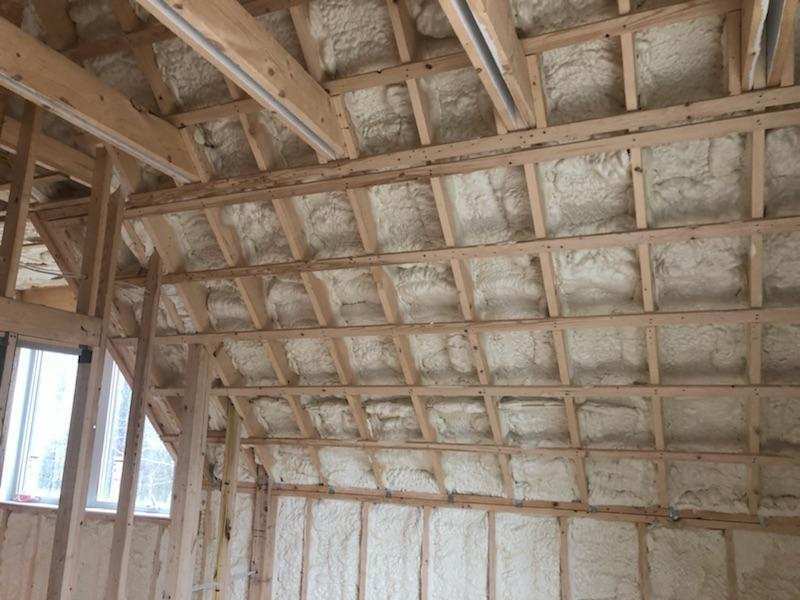 Spray foam will stop warm air from penetrating the insulation and condensing on the cold roof/wall sheathing regardless if its open cell or closed cell. If you stop the air flow you should not need to apply a vapor barrier in Maine regardless of open cell or closed cell. In fact, not having a vapor barrier will help if there is a leak because the roof will be able to dry quicker. For fiberglass, roxul, or cellulose it may make a good idea because all of those products allow warm air to pass through and condense on the sheathing. All fiber products will allow condensation to occur. Always keep in mind if you see condensation you know that you are loosing heat. Heat loss by air movement is what causes condensation. Always. Condensation does not occur from a product being vapor open or vapor closed. It is simply coincidence that air permeable insulation like fiberglass, roxul, and cellulose are also vapor open. Open Cell Spray foam is an air barrier but is also vapor open. Open Cell Foam will allow water to penetrate and drain through it in a roofdeck. Once the water source is fixed the material will dry and retain its R-value. Open Cell Spray Foam does not act like a sponge. It has been installed in millions of homes all over the world in cold climates with zero documented issues. If someone tells your that ask for documentation. Remember, no insulation should ever be used to stop water from entering a house. Regardless of what insulation you use other than Blue Board, if the insulation is submerged in water it will be come saturated over time. If your walls are submerged in water you have a much bigger problem than what insulation was used. 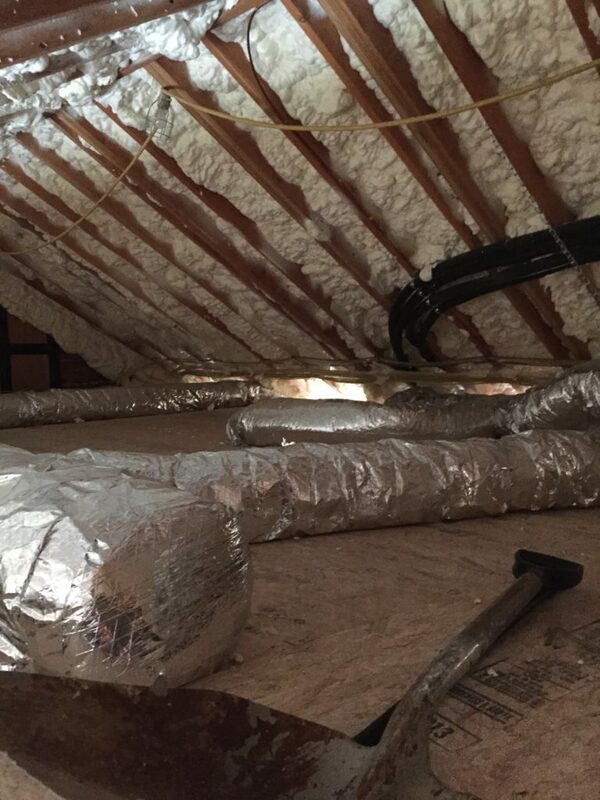 This sounds silly but we hear all the time “won’t open cell spray foam let water into it?”. The answer is yes of course. However, once your leak is fixed the material will dry with no adverse affects. The added benefit being if you see a leak in your roof, you will no exactly where it is. With closed cell spray foam it can be very hard to find a leak because it traps the water. This I actually have seen in real life. I have witnessed open cell get wet and dry as well. Companies that don’t offer Open Cell will try to bash it. 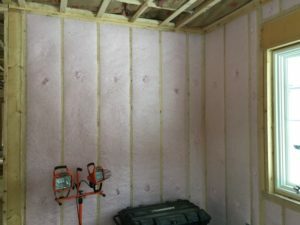 This is because we can insulate a whole house for almost half the cost! The companies that push closed cell want to sell you the most expensive package possible. Its also possible that they are just ill informed. Be careful what you read online. Unfortunately most of the information on the internet is pushed by some sort of an agenda. Make sure claims are backed up with actual real world testing of houses that have been in service for a number of years and then inspected. Below I am going to attach a few documents of tests just like that. Most contractors will try to get you to put in atleast R-38 of a spray foam. This is very expensive and does not pay you back. R-20 of Open Cell is about 5 inches of material. This is more than enough to cover everything efficiently. Open Cell does not contain any gas like closed cell does. Closed cell will off-gas over time and lose some of its R-value. Open Cell will not lose its R-value or off-gas. If closed cell gets wet the R-value will be cut in half. Some buildings had vapor barriers and some did not. Some buildings had good ventilation and some did not. Every building had a small section of insulation ripped out and the exterior sheathing was tested for moisture content. RESULTS! Every single building tested showed that the exterior sheathing did not have a high moisture level. The number one reason is that it is water blown. This means that there are no harmful blowing agents in the material. The only gas that exists within the material is air. Therefore, there is no off gassing with this product. It also means that there is no gas within it that can break down the insulation over time. That was a problem about 10 years ago when people were digging into houses sprayed with closed cell which used a poor blowing agent. The foam had broken down over time. This supposed to not be happening any more. Icynene Open Cell has 30 years of documented use in northern climates. Some of the closed cells we are spraying now are only 6 months old. They have been constantly reformulating closed cell spray foams over the past 30 years to make them healthier and more affordable. So how do we know those products will still be performing well 20 years from now. With Icynene Open Cell we know because of its history. Icynene Open Cell is vapor open. This will allow any moisture that does get in will always be able to get out. One common issue we have seen over the years is below windows or doors that were not flashed correctly. Water was able to get in. When closed cell foam was used we found rotting because that moisture was not allowed to get out. With all open cells or closed cells if not installed properly there can be issues. However, if installed correctly those issues don’t exist. With open cell sometimes there can be some pull away from the studs if the material is too hot. This is fixed very easily by going around the whole building and just touching up with the gun in those areas. You don’t see this happen much with closed cell. However, if the wall is damp the closed cell will not adhere at all. The point is if a product is not installed correctly then you may see pull away but it really is not something that should be factored into your decision on what product to use. Just make sure those areas are touched up. Open cell absorbs about 80 percent of reflective sound. Closed Cell absorbs about 30 percent. The payback with our open cell performance system is 1-2 years over fiberglass compared to around 10 years with a closed cell R-49 system. 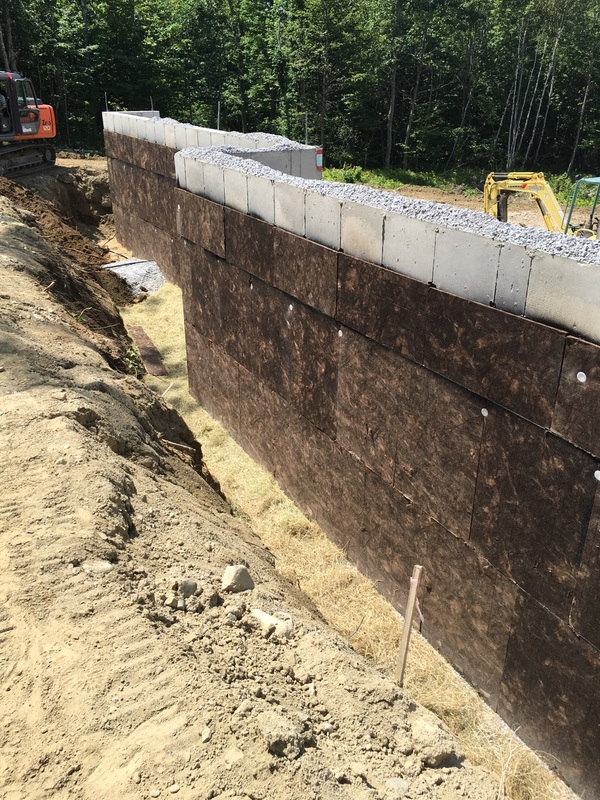 Permalink | Comments Off on The Best Insulation To Use in Maine Solved! 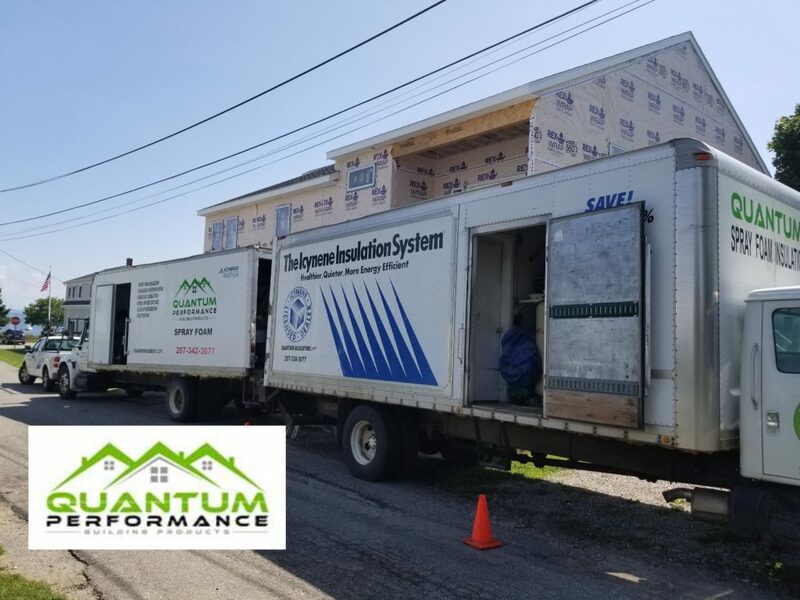 Augusta Maine Insulation Contractor, Quantum Performance Building Products offers a wide choice of insulation materials. 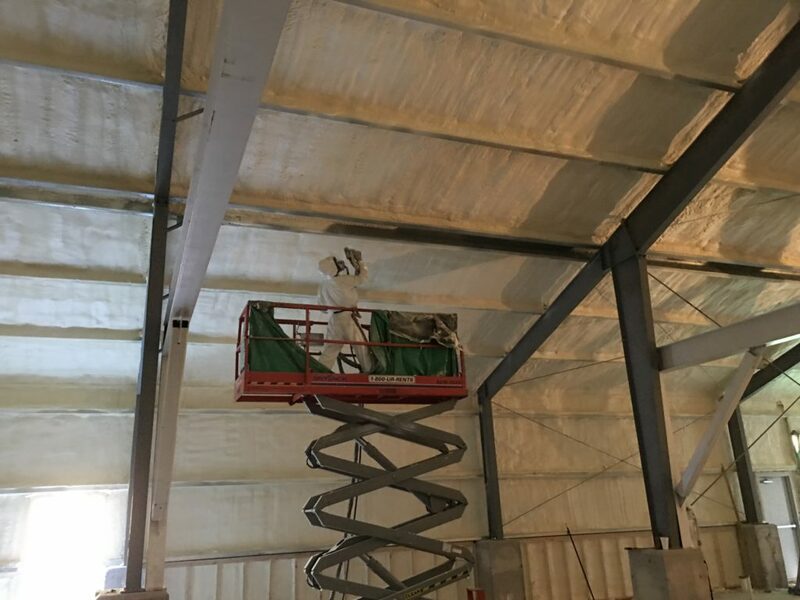 We offer Open Cell Icynene Spray Foam Insulation, Icynene Closed Cell Spray Foam Insulation, Roxul Batt Insulation, Fiberglass Batt Insulation, and Fiberglass Bib Insulation Systems. 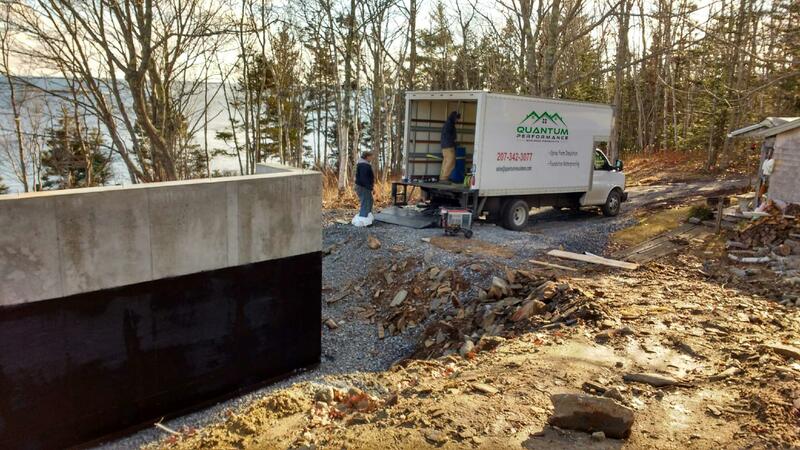 Quantum is Maine’s top insulation contractor doing hundreds of projects a year. We are family owned and operated going into our 11th year as an insulation contractor. 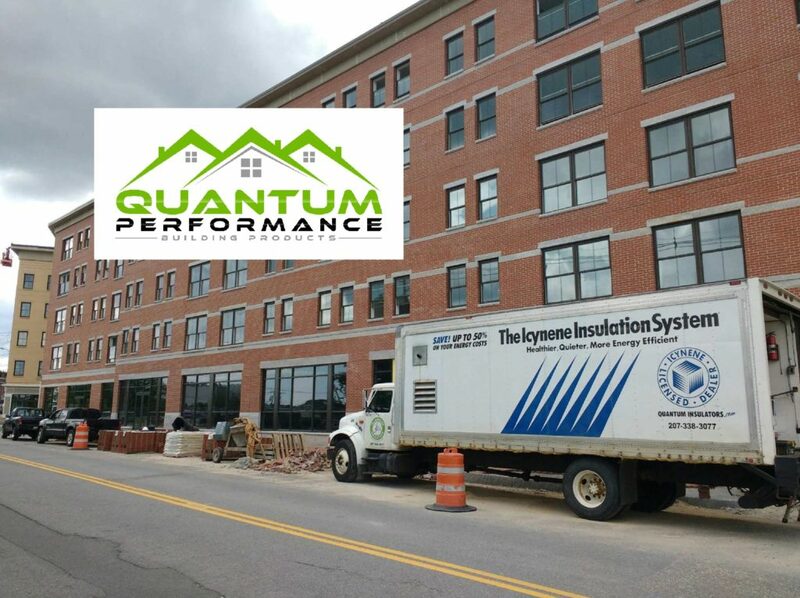 Quantum is the Augusta Maine Insulation Contractor. 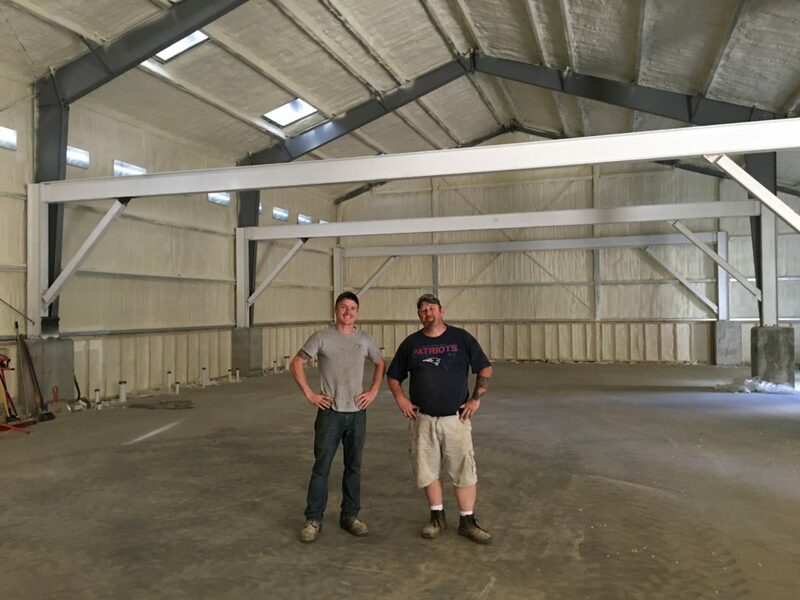 The below job is a mid size metal building that we sprayed Augusta Maine with Icynene Closed Cell Spray Foam. 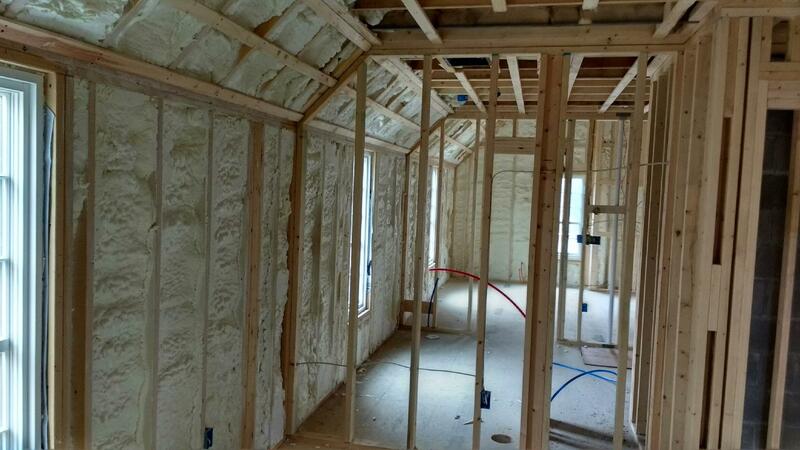 We used the spray foam insulation for the thermal envelope and used Roxul for sound in the interior walls. 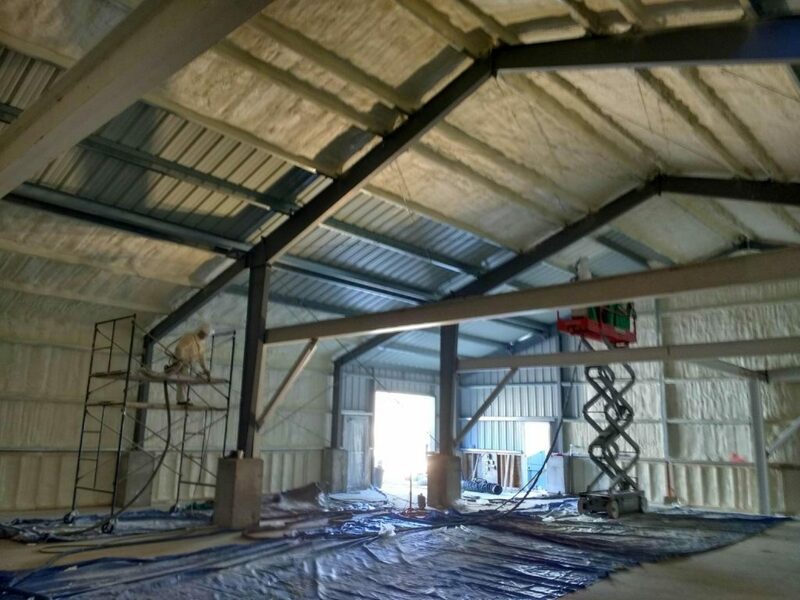 We generally use spray foam insulation in the exterior walls and roof. This is because it is by far the best insulation material on the market today. This is due to the fact that the material is an air barrier. Roxul is not. 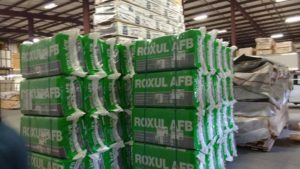 There is no way to make a product like Roxul or fiberglass perform as good as a spray foam in the exterior envelope. How do we know this? We know this from experience. By far Spray Foam Insulation offers our clients the best experience and we get the most positive feedback from that product. Fiberglass and Roxul insulation have their place to but that is pretty much on the interior walls only. The client was extremely happy. The job was done on time. The building performed as it should. The job site was clean when we left! 10 Years in and Icynene Classic is still the BEST! 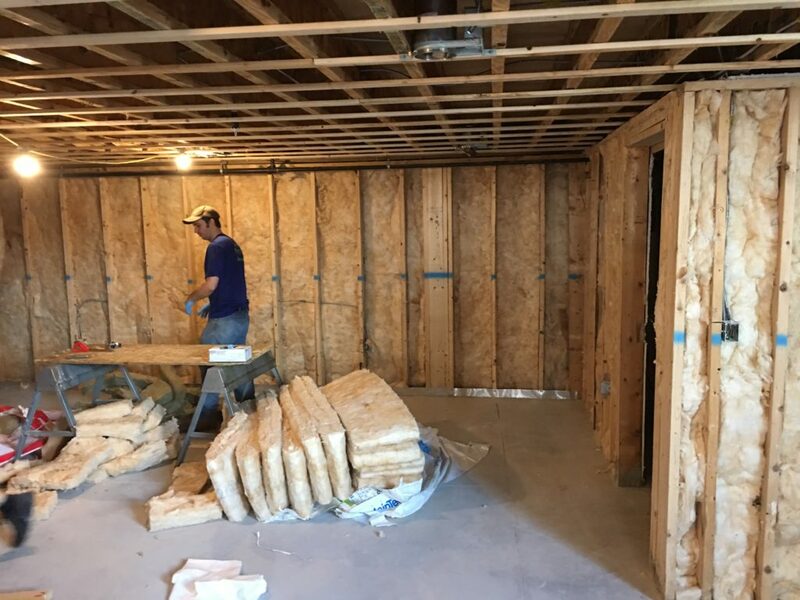 Another sprayfoam insulation job well done in Falmouth, Maine. We used Icynene Classic which is by far the best open cell foam out there on the market. 100 percent water blown technology. This means that there is zero off gassing with this product. The R-value stays the same over time it does not degrade. Petroleum blowing agents do not leach into your house. Will not allow a dewpoint to occur in your wall because it does not allow warm air to penetrate and hit your cold sheathing. Most of all it is AFFORDABLE! Here is a picture of a large scale growing facility we sprayed in Southern Maine. 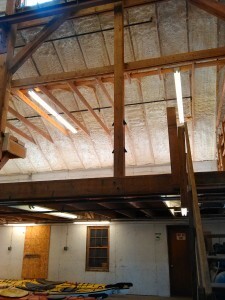 We used Closed Cell Spray Foam Insulation. This was a perfect situation for a growing facility. The owner was concerned about moisture build up on the metal during the cold months and keeping the building cool during the summer months. This person has created a perfect building envelope that he can control very easily. Around 95% of the heat transfer is being stopped with this package. 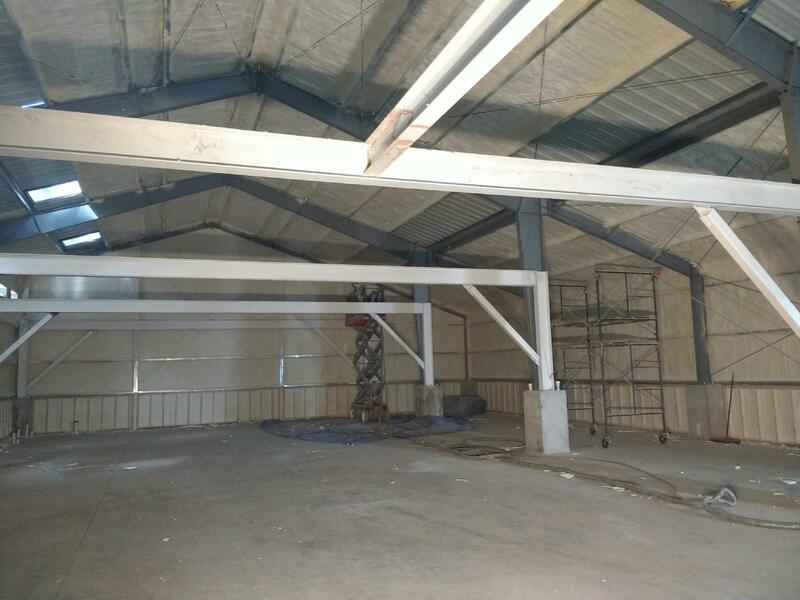 We also sprayed the steel framing as well to cut down on condensation. At this job we installed R-20 in the roof and R-13 in the walls. We actually can still meet the building code requirements with these R-values. Talk to Peter Jr for information regarding that. At those R-values we are stopping almost 90 percent of the heat coming the wall/roof. Adding more R-value really would not enhance the performance at this point. This works because foam is an “air barrier”. We are stopping the movement of air which is the largest transport of both heat and moisture! This is a great product that has been on the market for 35 Years! We love it and have had great luck with it. This picture Shows the angle used to match the grade line. 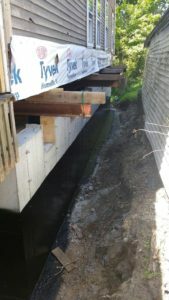 This project was done doing the later fall before winter set in and we had cold temps to deal with. These types of products really like to be installed above 30 degrees. This is an asphalt based rubber waterproofing membrane. This type of waterproofing is very good in our climate because it stretches. As the foundation goes through its freeze and thaw cycle cracks appear over time. 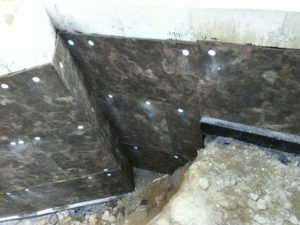 This type of membrane will help to bridge those gaps over time giving the waterproofing membrane a longer life and keeps your basement dry. 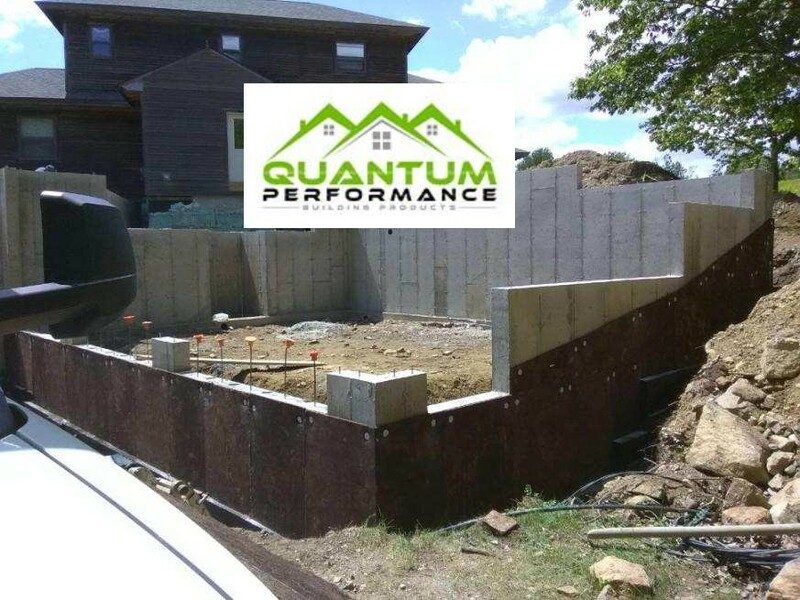 Quantum Performance Building Products is a full service insulation and waterproofing company. We offer a full range of waterproofing products. Some of our products are listed below. 2.) 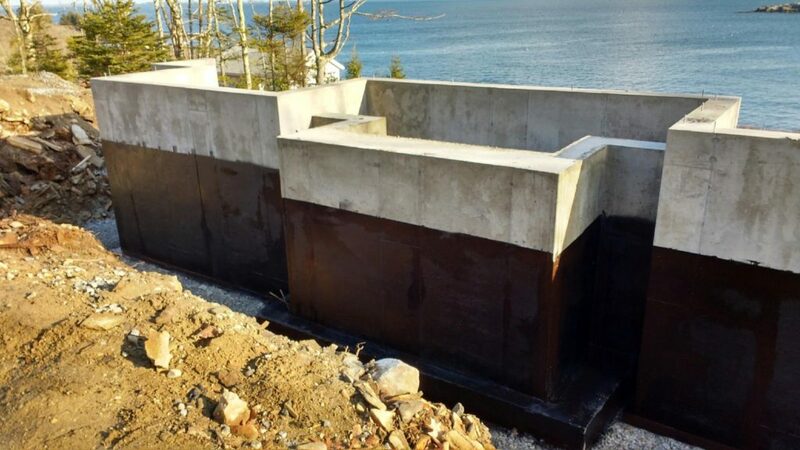 Above Grade water and air barriers. Both sheet and fluid applied. 3.) Protection panels to cover our water proofing products. This product is very important to the waterproofing system. 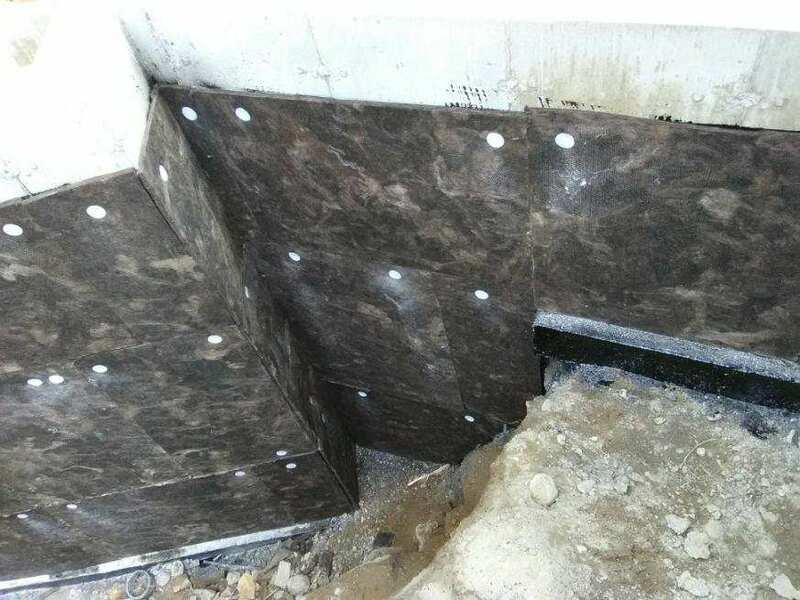 It is a fiber board that creates a barrier between the dirt and waterproofing membrane. Over time, rocks and dirt run up against the membrane and can shorten its life if its not protected with a boar. 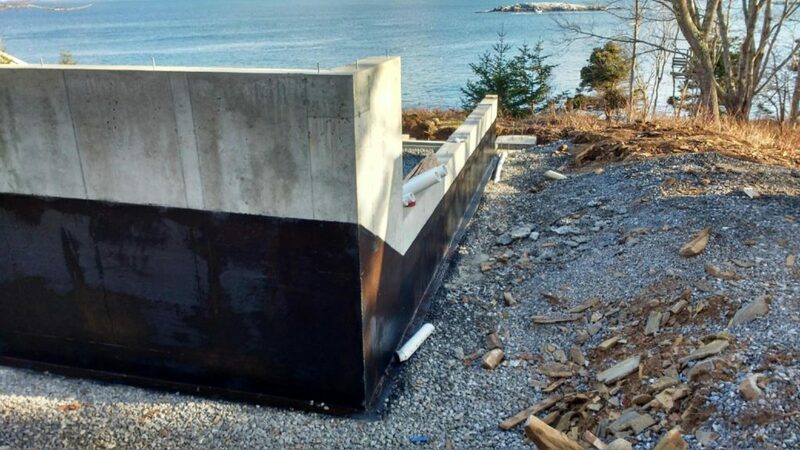 Adding a Protection/Drain Panel really helps with the overall lifetime of the membrane. At this job we sprayed Icynene Classic Spray Foam Insulation to the underside of the roofdeck. This allowed the customer to bring all of there hot air heat runs inside the building envelope. If this space was empty and the customer did not need it heated we would spray down to the floor. Bringing the heat runs into the envelope helps with the over all efficiency of the heating system. This is an excellent Insulation System. At the thicknesses used here we are stopping around 95% of the heat flow through the cavity. The only way to make this roof any more efficient would be to add rigid board to either the inside or outside. That would help to cut the heat transfer through the wood studs. However, wood is a very poor conductor of heat. I would consider adding blue board as a premium package and is not needed to build a very efficient house.